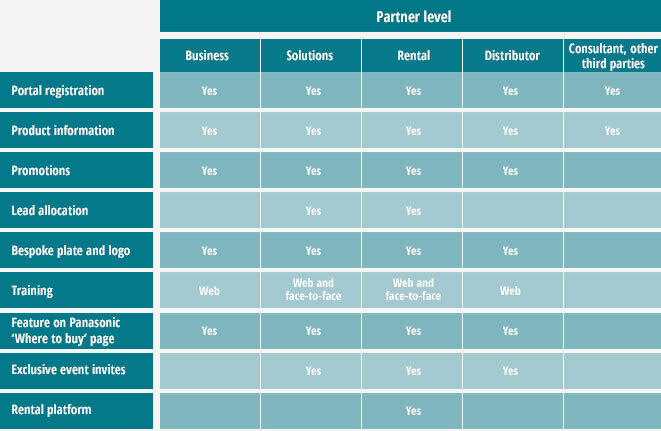 Although the Partner Programme focuses on each of our B2B product ranges, there are specific benefits for Visual Solutions Partners. If you’re an AV Rental partner, you can share information about your fleet of products, so that you can easily search for partners who have specific products in stock. Equally, customers looking to rent Panasonic technology can find your business easily on our public-facing B2B website.